Welcome to Part 5 of our series that recognizes our 2018 Retailers of the Year. In this post we honor Tin Woodman’s Flask, Gourmet Liquors, Beards Hill Liquors, Jimbo’s Wine and Liquors, Village Liquor and Liquor Hutch. Check out Part 1, Part 2, Part 3 and Part 4, which all posted in past weeks. And be sure to keep an eye out for the rest of this series, which will come out here in the next few weeks. Winners received their awards at the second annual Beverage Alcohol Retailers Conference in Denver. Congratulations to everyone who won, and good luck to the retailers who enter next year’s awards! 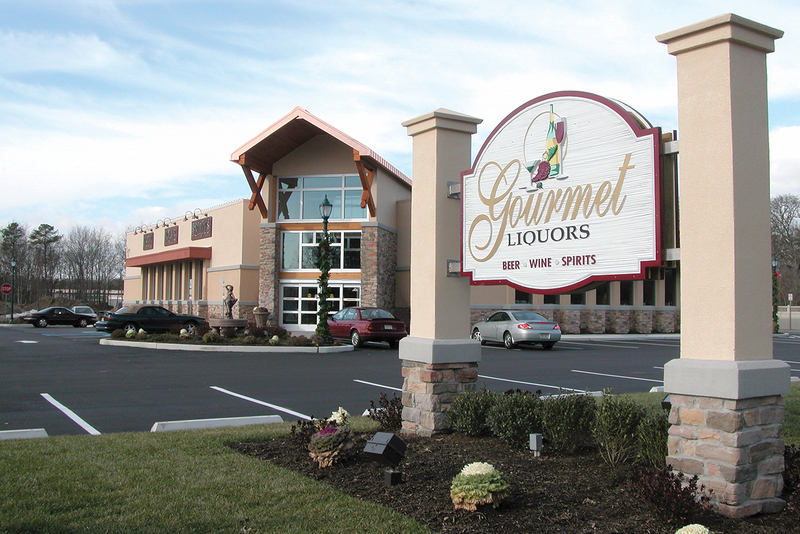 Gourmet Liquors is one of many enterprises under the umbrella of ICON Hospitality. The 10,000-square-foot retail space also houses Luscious & Sweet Gourmet Bakery, which echoes the liquor theme with Guinness cupcakes and bourbon pecan pie. They also sell cheese, imported oils and pastas, glassware, barware, lifestyle items and cigars. ICON’s other businesses include an Italian restaurant, a catering company, an event space and a construction company. Gourmet Liquors educates clientele with frequent tastings of wine and craft beer, providing collateral materials detailing food pairing, regions, varietals, ingredients and flavor profiles. The spirits program emphasizes education over tastings. “With our high-volume Italian restaurant nearby, we do a lot of cooking demo tie-ins,” Charlton adds. Even their social media has a distinctly personal quality: every associate makes multiple daily posts on Instagram and Facebook, guided by the marketing department. Tin Woodman’s Flask in Chittenango, NY, embraces being located in the town known as the birthplace of Frank Baum, creator of Wizard of Oz. But the store’s own claim to fame is its diverse product selection, oversized aisles, educational guest kiosks and well-versed staff. As Brian Jobin, general manager of Tin Woodman’s Flask, explains, the retailer wants to be more than just a liquor store. “Our philosophy is to create a unique experience for our guests and to ignite their natural passion for learning as a way to educate them about wines and spirits,” Jobin says. Today, Tin Woodman’s Flask is one of the largest wine and spirits stores in the Chittenango, NY region, featuring the widest variety of more than 100,000 bottles. “We also offer a unique rewards program with exclusive member benefits and discounts—and it’s completely free for guests to sign up while they’re in the store and immediately begin saving,” Jobin says. While Tin Woodman’s Flask is the largest wine and spirits retailer in the region, Jobin and his team ensures guests still receive one-on-one interaction with the extremely educated staff, including the retailer’s advanced certified sommelier. And Jobin makes a strong effort to continually educate employees with daily meetings, weekly product information sheets and monthly seminars describing product categories. Additionally, the store offers weekly events at its tasting bar so guests can learn about wines and spirits directly from the wineries and distilleries.